Executive President of the Ghana Baptist Convention (GBC), Rev. Dr. Ernest Adu-Gyamfi has questioned the honesty of some religious leaders and other persons authorized to endorse official documents like the national passport. He says the worrying reality of non-Ghanaians being able to have access to Ghanaian passports brings to the question to integrity of the process in passport issuance. “Are Reverend Ministers also being compromised in one way or the other in performing these duties? I pray not,” he inquired. Reverend Ministers are among officers legally authorized to endorse passport forms which has implications for the country. With the planned implementation of the Representation of the People Amendment Act (ROPAA) 2006, concerns have come up strongly on the likelihood of foreign nationals who hold Ghanaian passports getting involved in Ghana’s electoral process. 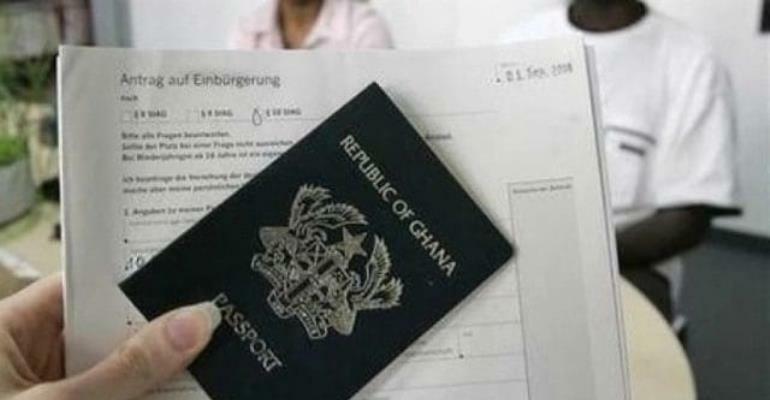 Hundreds of non-Ghanaians living outside the country are said to have acquired Ghanaian passports through fraudulent means. Rev. Adu-Gyamfi, who is a Member of the ROPAA Implementation Committee, says there is the need for great circumspection in the guarantor functions of passports to help protect the Ghanaian interest. He was addressing 2019 annual session of the Ghana Baptist Convention under the theme: “The Spiritual Growth of the Minister: Attitude and Aptitude”. Rev.Dr. Adu-Gyamfi also observed that the discussion on curbing vigilantism should expand to explore areas of employment for members of disbanded vigilante groups for them to be profitably engaged. “How do we engage these young men and women in a very positive manner to ensure that they have something gainful to do that really feeds them and that can help them to come out of this whole situation”, he noted. He said religious leaders are mediating the quest for the leading political parties to talk on ending political vigilantism. The GBC gathering at the Baptist Women’s Retreat Centre at Ejura in the Ashanti Region attracted all Baptists leaders from all over the country.